Professor Julienne Meyer comments on the postcode lottery facing older people following the publication of the government's new "dementia atlas"
An interactive “dementia atlas” published online by the Department of Health needs to lead to society challenging ageism more, according to a leading expert on the care of older people at City University London. 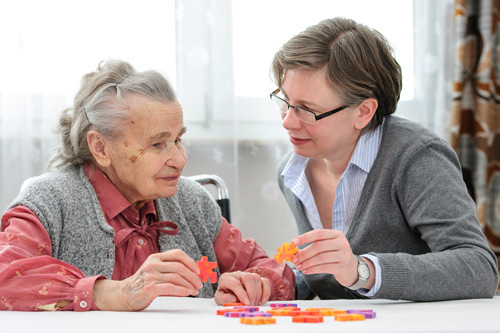 According to the new government data, people with dementia are being let down by local services across the country and has revealed a postcode lottery in care for the chronic and degenerative brain disease according to experts. The interactive resource, shows that standards of care vary significantly in different areas, with services failing to reach almost half the patients for check-ups even once a year in one area. “It is interesting that more people are not up in arms about the post code lottery for dementia care. With the aging population and growing numbers of people with dementia, we are all likely to experience first-hand dementia in ourselves or our loved ones. However, we tend to avoid the issue until it personally affects us. By this late this stage, we are often lack capacity to take action.